Liberty Mutual is a mutual insurance company in the United States, meaning that its policyholders who hold insurance contracts are considered shareholders of the company. The second-largest property and casualty insurer in the United States, Liberty Mutual employs more than 50,000 individuals and has locations across the nation, as well as several countries overseas. If you or a loved one has been injured in an accident, there's a chance you'll have to deal with Liberty Mutual in order to recover compensation for injuries and other damages. However, negotiating with an insurance company can be a daunting task, and you may find it difficult to get a fair settlement from Liberty Mutual. If you're dealing with Liberty Mutual but feel you're getting nowhere, call Zinda Law Group at (800) 863-5312 for a free consultation with one of our skilled San Antonio car accident lawyers. If you've been injured in an accident, you may be required to file a claim for compensation with Liberty Mutual Insurance. A claims adjuster from Liberty Mutual will then be assigned to your case and be responsible for attempting to settle your claim. The adjuster’s job is to attempt to successfully settle your claim with Liberty Mutual Insurance, while paying you as little as possible. This can result in you being paid far less than what you actually need for your medical expenses, property damage, lost wages, and other losses you experienced. Know what your claim is worth: As much as possible, quantify your claim. This requires you to add up the expenses you have already incurred, such as medical bills and lost wages; the expenses you expect to need in the future, such as continuing medical care or lost earnings in the future; and other damages that may be hard to quantify, like physical pain and suffering. If you are uncertain as to an amount, err on the side of overestimating the loss, as you can always adjust the figure downward if necessary. Communicate this figure to the adjuster in a letter. Expect your initial settlement figure to be rejected: In most cases, Liberty Mutual Insurance adjusters will reject your initial settlement offer. Do not get discouraged and do not assume that this is a reflection on the strength of your claim. Remember that your adjuster works for Liberty Mutual and is attempting to settle your claim for as little as possible. Do not jump at the first offer: Your adjuster may counter your initial settlement offer with what may appear to be a ridiculously low offer. View this as a test: your adjuster is attempting to see if you know what you are doing or if you are not willing to negotiate. If your adjuster makes such an offer, ask them to describe how they arrived at that figure. Highlight facts and circumstances that are in your favor: Your insurance adjuster likely knows the basic facts of your case. What they may not know is the extent of your pain or how your injury has impacted your life. Highlight these aspects of your claim. When a person can no longer care for their children or provide for their family due to injuries resulting from an accident, they will receive more sympathy from a judge and jury at trial, making it more likely that Liberty Mutual will settle on your terms. 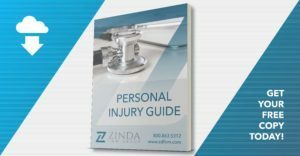 At Zinda Law Group, we know that a personal injury incident can be devastating. The last thing you might want to do is negotiate with an insurance adjuster who is trying to get you to settle for less than you deserve under the law. We have negotiated settlements on behalf of our clients with Liberty Mutual Insurance in the past and can help you settle your claim so you can get the compensation you need. If a settlement cannot be reached that is in your best interest, we can help advise you of the next steps. We will help you seek compensation after your injury incident, whether it is through a settlement with Liberty Mutual or a lawsuit. Call us today at (800) 863-5312 for a 100% free case evaluation with one of our San Antonio personal injury lawyers.